This is the first of three shows in Spain that were initially intended to end the tour. Freddie uses his tremendous vibrato to full effect in In The Lap Of The Gods...Revisited. 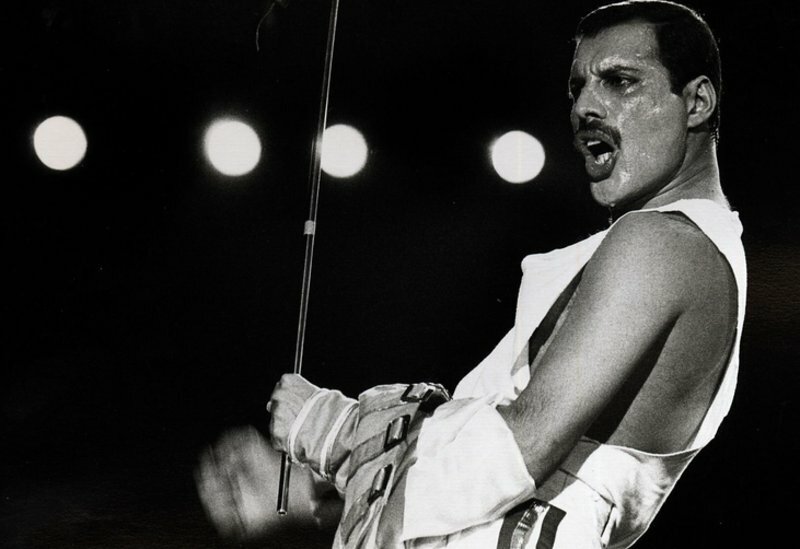 After Another One Bites The Dust: "Many people are saying that Queen are gonna break up. Do you understand what I'm saying? Many people are saying that Queen is gonna be kaputt. This is not true, okay? We will always be together as long as you give us such a lovely welcome." During his solo spot, Brian tries out a harmonizer pedal (he used one during Get Down Make Love in previous years). He later stated how exciting that moment was for him. What he plays are a few licks that would end up being on a track recorded during The Miracle era called Chinese Torture. 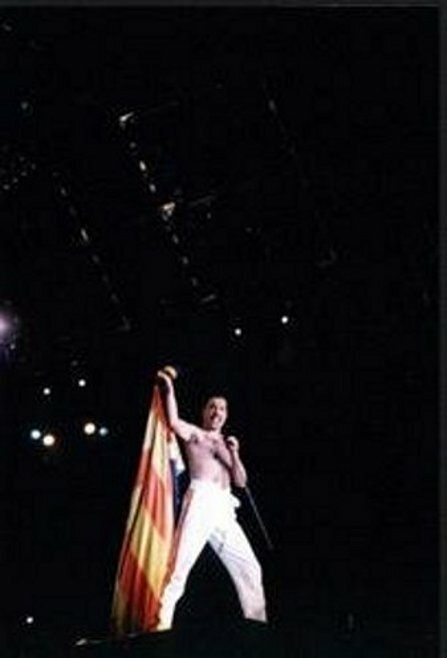 He would do this on each remaining night of the tour. The band plow through the middle section of Now I'm Here with vigour. Building off that, they lengthen the song before the breakdown like they had done on previous tours. 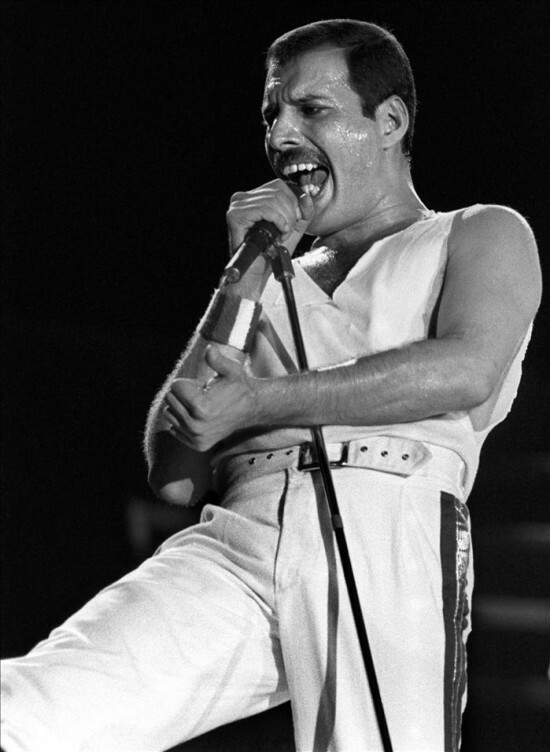 Brian says a few words to the audience in Spanish before Love Of My Life, and in a response of gratitude, the audience start chanting his name in unison. Freddie responds, with mock jealousy, "I don't like it! Too much adulation!" With the Budapest show still on his mind, Brian introduces Is This The World We Created as "A Hungarian folk song." His classical guitar is a bit out of tune. 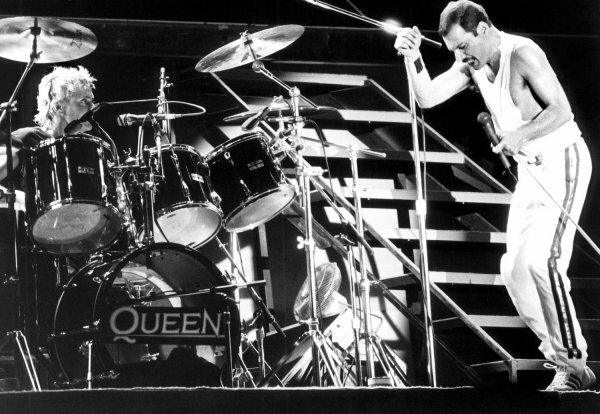 Since Brian mentions Budapest while in Spain, as the band start up You're So Square, Freddie jokingly says, "This one we'll do for Frankfurt." Freddie, before Hello Mary Lou, "This next turkey is from Rick Nelson." There is then a bit of a delay before Tutti Frutti, so Freddie's excuse is, "We're having a picnic." A news spot on Spanish TV was done the next day, featuring footage of Freddie signing a couple autographs, an interview with the band and clips of We Will Rock You and We Are The Champions from this show (amongst footage of a few other 1986 shows). Here is a review of the show from a Spanish newspaper, submitted by Alessio Rizzitelli. The first two pictures were submitted by Juan Gabriel, and the fourth picture is from Matty. 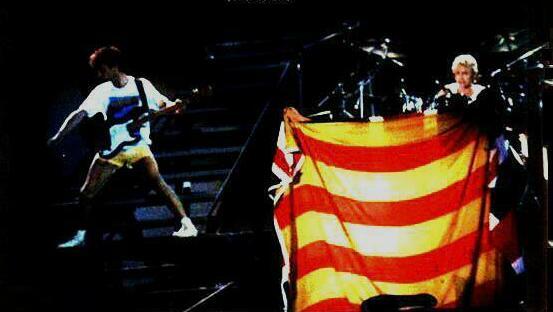 Thanks to Luis M. Gómez for properly identifying the last picture as being from this show, as Freddie is holding the flag of Catalonia - a political gesture from the band acknowleding the Catalan independence movement. This is one of the best-sounding recordings of the tour. It plays a quarter tone too fast. The show was recorded on 60 minute tapes. The end of Radio Ga Ga is chopped off for a tape flip, and the taper doesn't resume recording until mid-way through the first verse of We Will Rock You. This alternate source is pretty bad quality, although it does contain the sections of the show missing on the better-sounding source.